Nickelodeon has announced the international launch of Nick Jr Play: an interactive app experience that offers pre-schoolers their favourite Nick Jr shows, games and music in one. Following the Nick Jr app’s success in the US with more than 16 million downloads to date, the app goes global today with launches in the UK and Denmark, and additional markets to follow in the coming months. Nick Jr Play is available for download today on iOS and Android, with multi-language support. Content includes access to full episodes, educational games, original videos and even some silly surprises. Pre-schoolers can explore on their own with easy-to-use swiping and tapping. 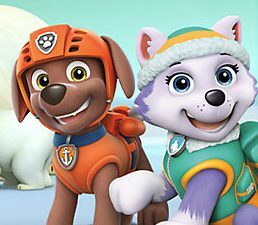 Available videos and games will include content from the network’s most popular programming including PAW Patrol, Nella The Princess Knight, Dora the Explorer, Bubble Guppies and more.